Just days before Christmas, Stockland appointed two advisers to search for buyers of their $1.5 billion / 65 village / 9,000 ILU business. In The Australian, they are reported to have appointed the investment bank Morgan Stanley and the advisory firm Evans Dixon. They had looked for a buyer in 2015 as well. Stockland is the last of the three major private retirement village operators to look to liquidate part or all of their village business. Lendlease wanted a 50% buyer but could only find a 25% buyer in October 2017 for $450 million. Morgan Stanley was their advisor as well. Aveo is currently seeking a buyer because its share price is trading at up to a 50% discount to its net present value. All three were savagely knocked in sales by the Four Corners/Fairfax negative media coverage from June to December 2017, plus a changing consumer. All up, Stockland Retirement has weathered this storm best. Occupancy remains at 95% and sales are up 15% or more on early 2018. Former Stockland Retirement CEO Stephen Bull. Stephen Bull led Stockland Retirement through this period. He was responsible for the sector’s most aggressive refurbishment investment in older villages, customer enquiry data analytics and non-DMF village expansion. 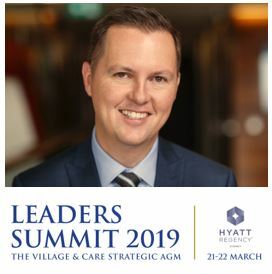 You can engage Stephen Bull in discussion on the future of Australian retirement villages at the LEADERS SUMMIT where he will be giving his assessment of the sector threats and opportunities. What is the market expectation for the Stockland retirement sale? 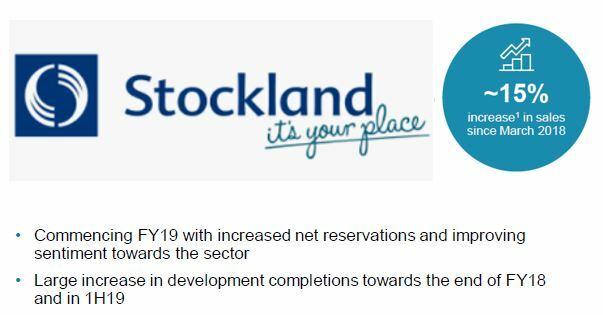 Buyers will look to acquire say only 50%, wanting Stockland to stay as the experienced and successful manager. Next Article Is the departure of Sakkara the end of a painful era for the residents and the retirement village sector?